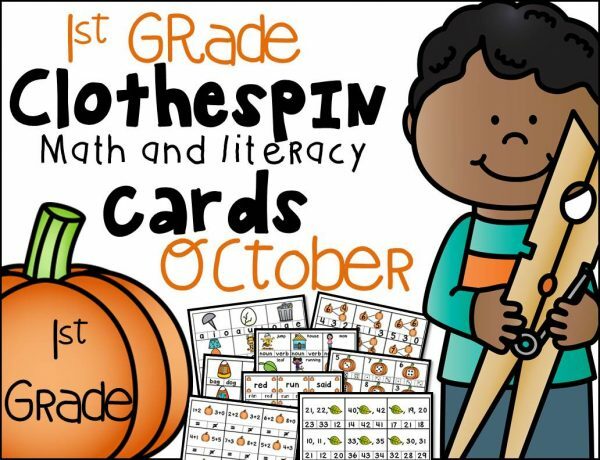 This is the October set of 1st Grade Math and Literacy Clothespin Clip Cards! Clip the short vowel sound in the picture shown. 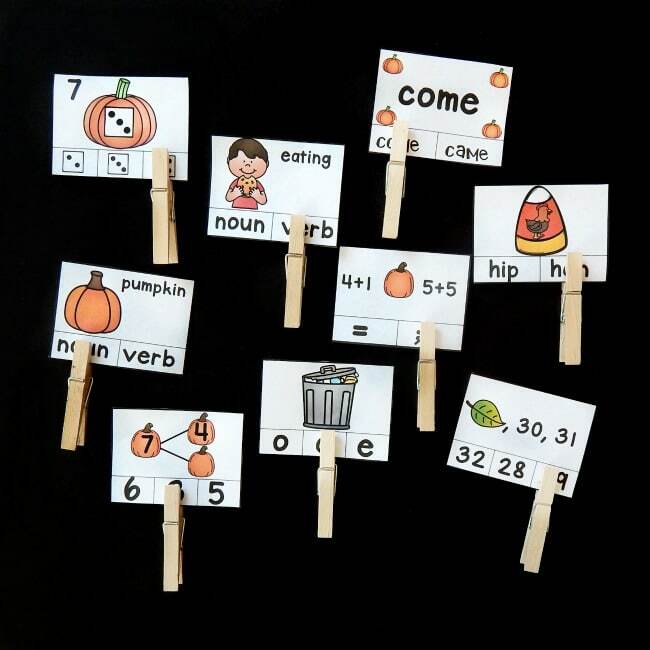 Clip the CVC word that matches the picture shown (all 5 short vowels). Clip to show if the picture is a noun or a verb. Clip the missing number in the number bonds (sums 6-10). Clip to show if the equations are equal or not equal (addition/subtraction to 10). Clip the dice that, when added to the dice shown, would equal the numeral shown. Clip the number that comes next in the series (counting on to 50). Black and White versions begin. – these are an additional 175 cards, just in black and white for an ink saving option!